Wow, I am very impressed with this mushroom pate. I love all mushrooms and I think I’d enjoy this very much so!! I bet that mushroom pate would be divine spread on crusty bread. Might just add it to my Australia Day menu! Thanks for sharing. YUM!Spread into a beef wellington to replace traditional pate? Sounds gooooood. Ooh fantastic idea, thanks Sarah! I used to hate them too – my dad scarred me for life sauteeing them all the time when I was little. Now I am obsessed with them haha. I need to make this pate! I’m def missing out on such things since going vego. A lovely recipe idea! Great promoting fresh produce! Thanks Swah! I have to admit I used to enjoy an occasional bit of pate but thinking about what its made of does weird me out a bit too.. Your own recipe! Wow! You are so clever! Your pate recipe sounds delish ~ i am currently salivating! 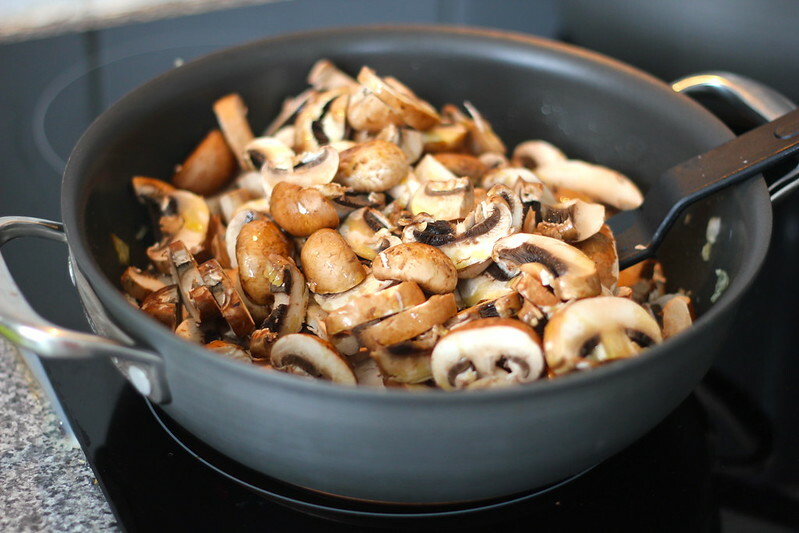 To add an idea to your list of ways you could use this morsel of mushroomy goodness and also throwing a spanner in the works with a dish that is totally not vegetarian or diet friendly (mwhahahah!) You could make a beef wellington with it too! 😉 mmmm Beef! Or lamb wellington… hmmmm… Thanks for posting Christine! Oh I just love this Christine!! What a fantastic way to showcase mushrooms at a BBQ that’s not actually on the barbie. Thank you Christie! So glad you enjoyed it! Many people have mushroom aversion like you, I think mainly because of the texture. Glad you overcame it. Recipe sounds great! It still surprises me how many people have an aversion to the harmless-yet-delicious mushroom. I love them! Always have. Always will. Do I eat them a lot? No, thanks to the other half hating them! 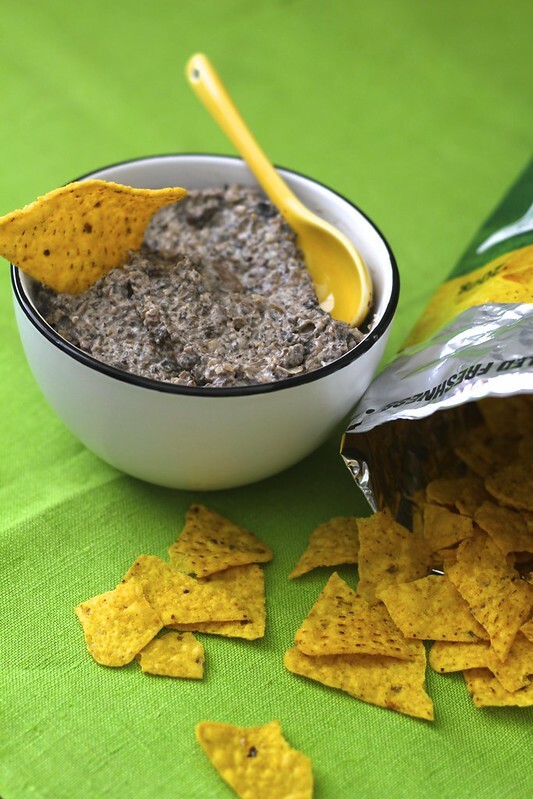 The simple ingredients in this beautiful dip you’ve made just scream deliciousness! Hail the mushroom! Thanks Tania 🙂 Glad you liked it! This is such a unique recipe, I would have never thought about making a mushroom pate! It looks absolutely delicious! We’re on the same page, sista. I used to stay away from mushroom, too and now I’m madly in love! I definitely make this pate coz there’s always ‘shroom for mushroom, right? Whenever people tell me they don’t like mushrooms I always accidentally look at them like they have three heads. How can you not like mushrooms? I love all of them…so this recipe looks spectacular! Thanks for the inspiration. 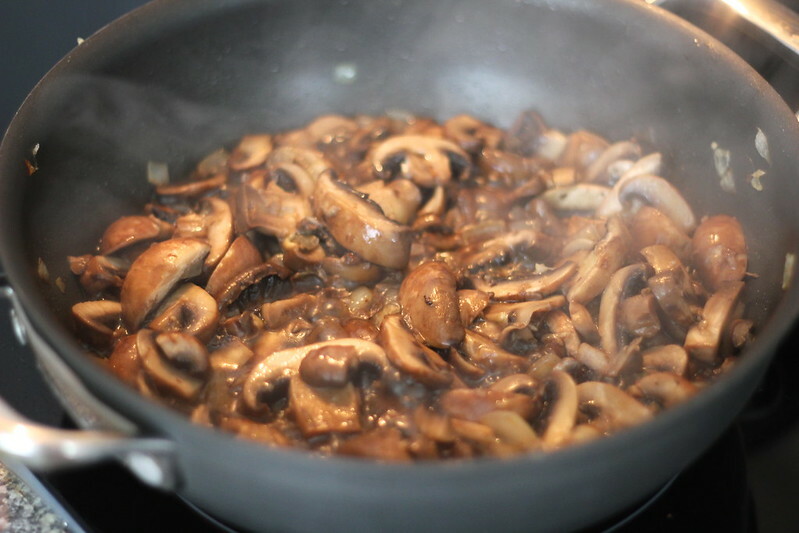 I used to have reservations about mushrooms for years, now they are one of my favourite vegies to pad out a stir-fry or soup. 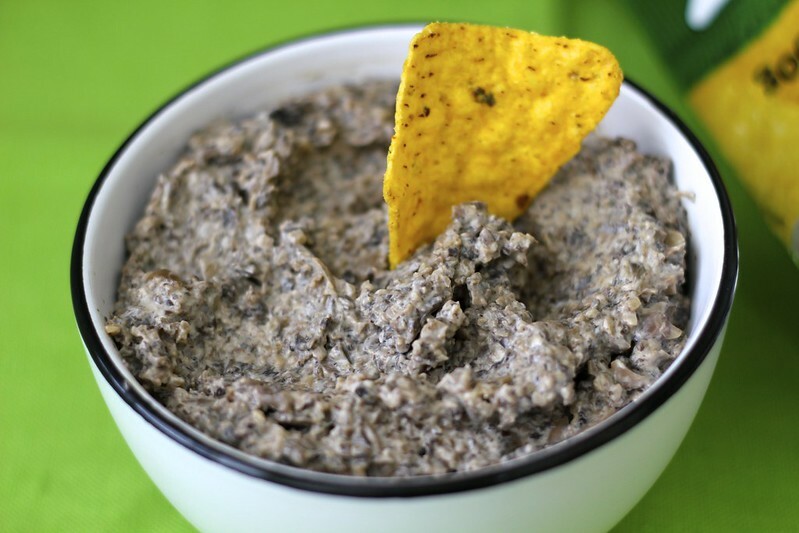 A friend served me some delicious mushroom pate about a month ago and I’ve been thinking about it ever since – thanks for a great recipe to keep me going until I see her again! I really love this Christine! Oh I can imagine all the lovely things this will go with mm.. 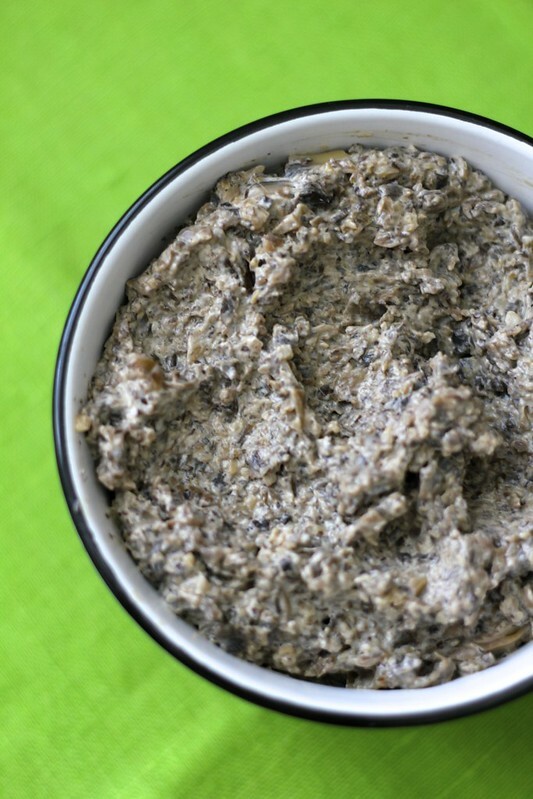 I have always wanted to make a mushroom pate, I use to eat one when I lived in the UK which I am sure had plenty of filler but it tasted so good. This looks really good, I have kept a recipe on my fridge for the past 2 years to try and inspire me to make a mushroom pate. Thanks for reminding me to give it a go. The photos are just lovely too. Great recipe! A very tasty change from the usual dips I have at parties. I look forward to reading about your upcoming trip to Japan. What a great spread, I adore mushroom pate! 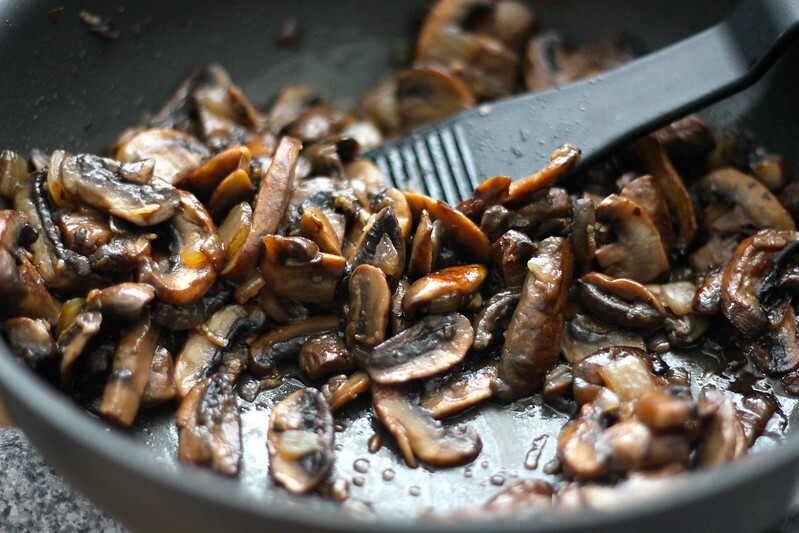 I still won’t touch raw mushrooms but love love love them cooked any way possible! Okay I just became homesick after checking out your Japan post. 😀 Me too, I love anything mochi and I gain weight by eating it especially in winter time. It’s funny how we change food preference but when you have a dramatic event (this time a oversea trip), you tend to be more open to try new things too. So jealous you are going in spring! Last year I was there in April and cherry blossoms came later than usual so we could get to see it! This year I’m going back in summer.. crazy hot weather. ugh… Your mushroom pate looks good! I love mushrooms too! I love mushrooms, although I know plenty of people that can’t stand them. But if they tried this terrific looking pate I’ll bet they’d love them too – this has tons of flavor. Really good stuff. Hope you have a great Australia Day! What a fantastic recipe!! I just want to dig one of those corn chips right in there!! I used to be a mushroom hater too! This sounds great and I’d love to give it a try. Woah, mushroom galore! I’m with you. I fell in love with the mushroom sin Japan. They were served so delicately and in a broth that was full of flavour that had you closing your eyes and licking your lips. I so wanna go back now!! Great recipe – would make for the perfect appetizer. i love mushrooms in all form and cusines! i look forward to trying this dip. TY. Wow , I also didn’t take mushroom much, it has a funny taste but looks like I may change my view on it after seeing this post! 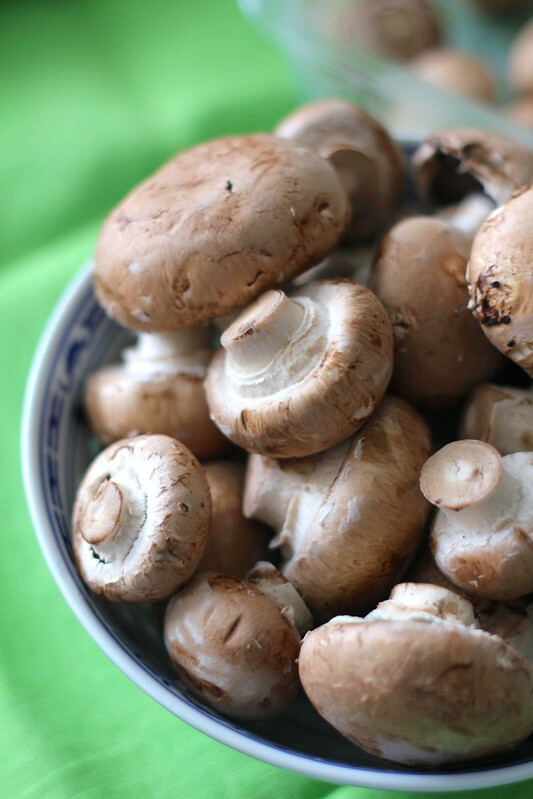 Mushrooms are by far and by large one of my favourite foods, I’m so glad you are converted! Sounds like you had such an amazing time in Japan, I would love to travel there some day! this is not vegan with cream cheese. Hi there, thanks for your comment. I did actually use vegan cream cheese as listed on the ingredients list, so this recipe is vegan. Thanks. Hi Karen, the capital ‘T’ is for tablespoon. I’ve updated the post to make it clearer. Hi Lydia, it goes in the mushrooms after the five minutes of cooking. Thanks for your comment, I’ve updated the recipe accordingly! I was going to ask about vinegar too..
Just read recipe and it’s not updated.